After spending yesterday tidying up around the house and catching up on chores, my hiking buddies and I were in desperate need of fresh air today. 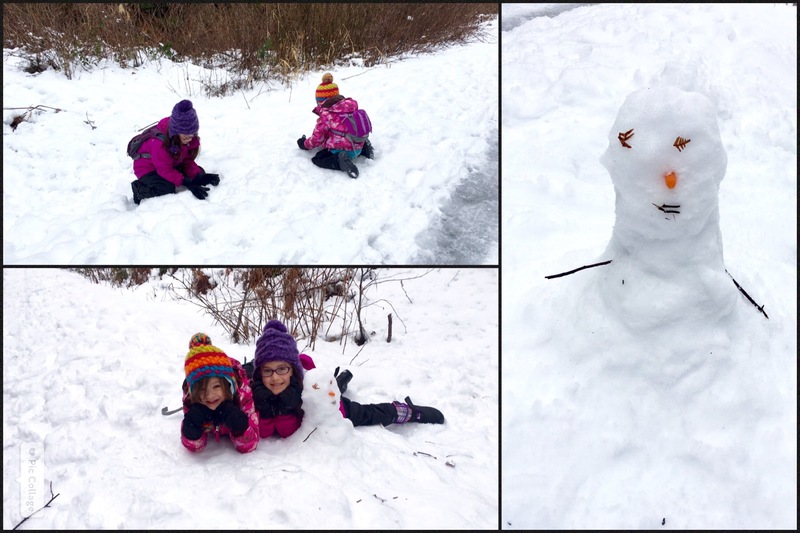 They really wanted to play in the snow and I truly longed to get out on the trail. Since we had an afternoon playdate at the ice rink, I had to find a compromise that would fit our desires within a short distance from our home. Rattlesnake Ledge seemed to be the perfect answer – that is, until I read recent trip report warnings about ice and snow throughout the entire trail. This fun kid-friendly trail from one of our summer hikes was now a potentially hazardous trek. My mind flash-forwarded to the whining, slipping, falling and nagging that would occur if I pushed everyone’s limits today. NO THANK YOU. Once I researched more trails in the North Bend area, all I really had to do was look across Rattlesnake Mountain to the Cedar Falls Trailhead for our destination: the John Wayne Pioneer Trail. The John Wayne Pioneer Trail follows the route of the former Milwaukee Railroad, which runs east-west across Washington state. Over 200 miles long, the JWPT is popularized as a long-distance mountain biking trail during late spring through early fall, but is also the launching pad for many of the elevated hikes throughout the region. Having myself ridden from the western terminus of Cedar Falls through the Snoqualmie Tunnel to Easton, I was familiar with the easy grade and wide trail. With reports of snow throughout the area, this was the perfect morning adventure for us three. After driving past the already-filled parking for Rattlesnake Lake and into a relatively empty lot across the way, I was quite thrilled about my decision. My hiking buddies and I quickly put on our hand warmers and gloves in great anticipation for some fun in the snow. Within minutes of leaving the Cedar Falls Trailhead, we found ourselves crunching our boots along the slush-covered JWPT. The girls loved the sound of ice and snow crackling under their boots; so much so that they preferred to keep to the very edge of the trail the entire journey in order to make full use of their snow boots. They even pretended to ski after finding and following a cross-country skier’s tracks. Not only did the JWPT allow us to stretch our legs and play in the snow today, but it offered plenty of historical data and interesting scenery for my hiking buddies to inquire and absorb. Big Hiking Buddy was curious to learn more about the railroad throughout our morning. Along the way, we passed the Cedar River Watershed, which is owned by the City of Seattle and provides clean drinking water to almost 1.5 million of its residents. Since this fact was almost unfathomable to BHB, we ended up discussing the history of the area and the importance of preserving it. From there, we crossed a heavily fenced bridge over Boxley Creek towards the Cedar Butte Trailhead. Little Hiking Buddy quickly remembered the bridge and our subsequent hike up to Cedar Butte to see the spring flowers that have now been replaced with winter icicles. We even lucked out in finding deer tracks amidst numerous dog prints in the thin layer of snow on the edge of the trail. Although we didn’t gain much in elevation or go very far this morning, my hiking buddies enjoyed themselves like everyday kids in the snow. 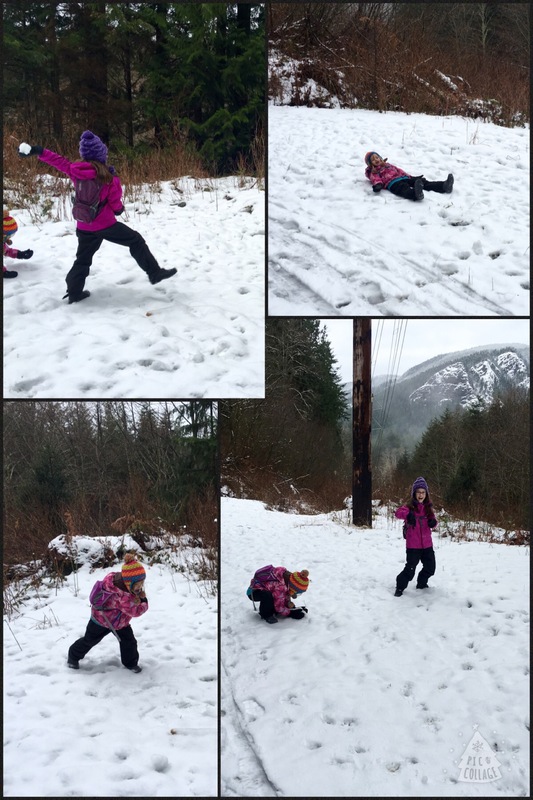 BHB, otherwise known as our ballerina, perfected her snowball throw as well as showed her strides as a potential trail runner. LHB really just wanted to make snow angels and cover herself in snow flurries. Either way, it was fun to watch them attempt the unexpected and laugh in the process of it all. We even managed to use our new binoculars, courtesy of Santa Claus! Of course, it took awhile for my “city” kids to figure out how to use them properly. My Nikon Trailblazer 10×25 ATB provided such fantastic resolution that from our lower vantage point on the JWPT, I could distinctly see a hiker in a red jacket perched on Rattlesnake Ridge. The Carson Hawk HU-530 binoculars allowed BHB to see details of the tower atop East Peak of Rattlesnake Mountain, while GeoSafari Jr. Kidnoculars enabled LHB to see the little nuances of my backpack (granted, she was looking at my backside). I enjoyed a turkey-havarti sandwich while my hiking buddies played in the snow; view of JWPT trail at the 1.5 mile midpoint of our hike. Inquiring minds want to know! BHB was so fascinated by our discussion, she had us stop at the history boards on the way back to the car to read up on the Milwaukee Railroad.